Compact and economical: the new TM-150-NST. Small and pretty display that is easily readable; warning thresholds adjustable for each axle; ideal for vehicles with 4 wheels; extended measurement range up to 80 psi; new sensor technology NST: more robust, improved radio transmission, longer lifetime. 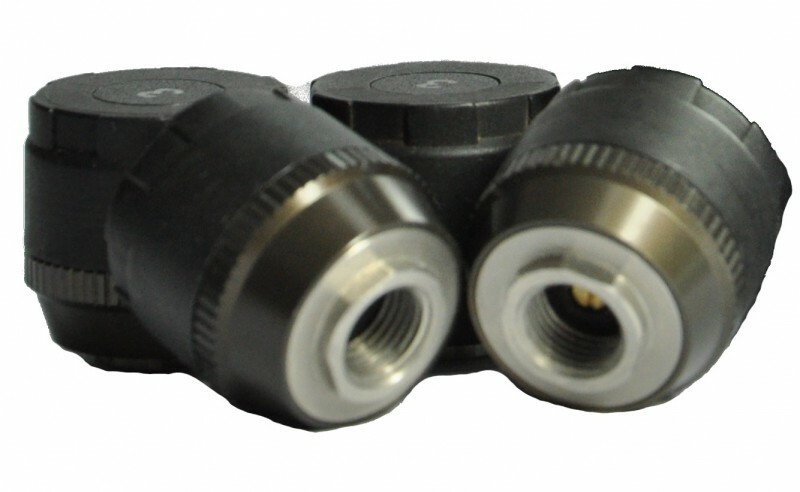 Meets technical requirements of ECE R-64. The new TireMoni TM-150-NST tyre pressure monitoring system once again sets the standard for tpms: With its new sensor technology NST the sensors are even more robust and they provide improved data transmission and longer service life. The TM-150-NST meets the technical requirements of ECE R-64 (EU regulation for tpms and other systems) and will be supplied with the respective test certificate. Naturally also the TM-150-NST is a typical TireMoni: Small and attractive display that is easily readable, 4 NST sensors, extended measurement range up to 80 psi, warning thresholds adjustable for each axle separately. The TM-150-NST ideally suited for all vehicles in vehicle classes M1 and M1G (passenger cars) with 4 wheels. It also works for vehicle class N1. 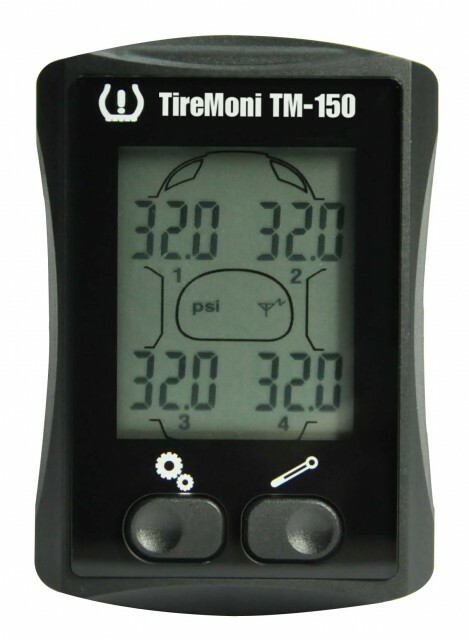 TireMoni TM-150-NST tyre pressure monitoring permanently shows all 4 tyre pressures. This way you have the necessary information to ensure that you are driving with optimum tyre pressure at all times; it helps you save fuel and tyre wear and you can contribute to CO2 reduction and help protect our environment.